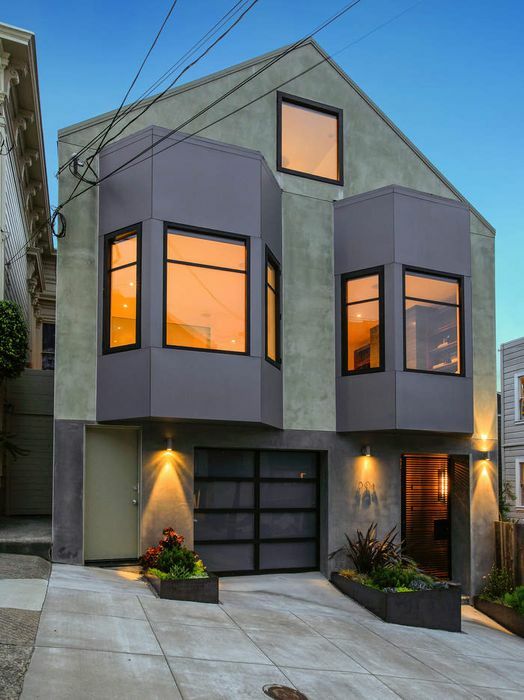 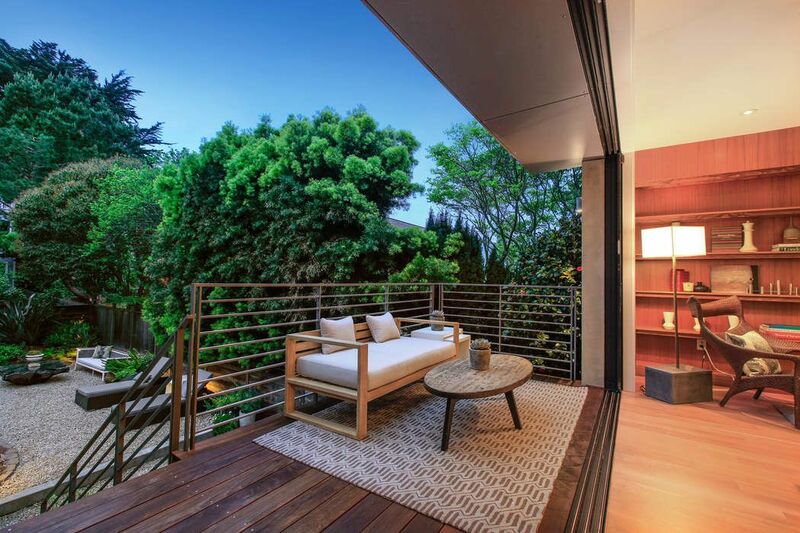 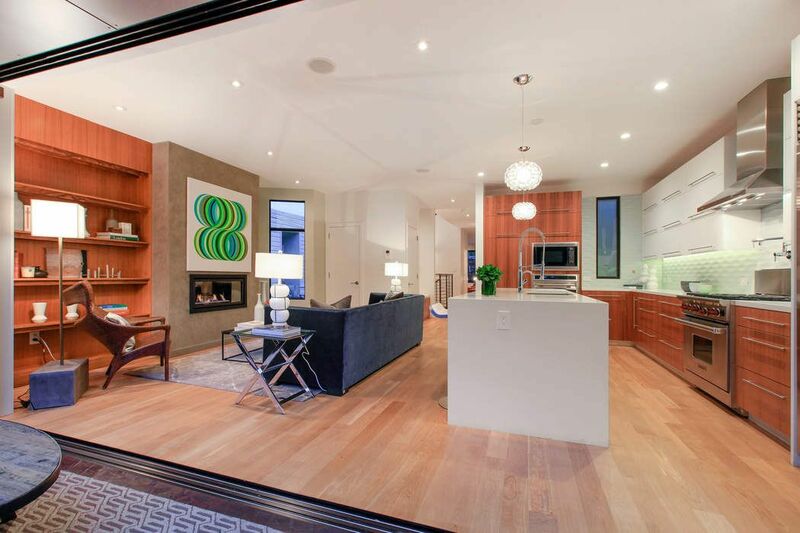 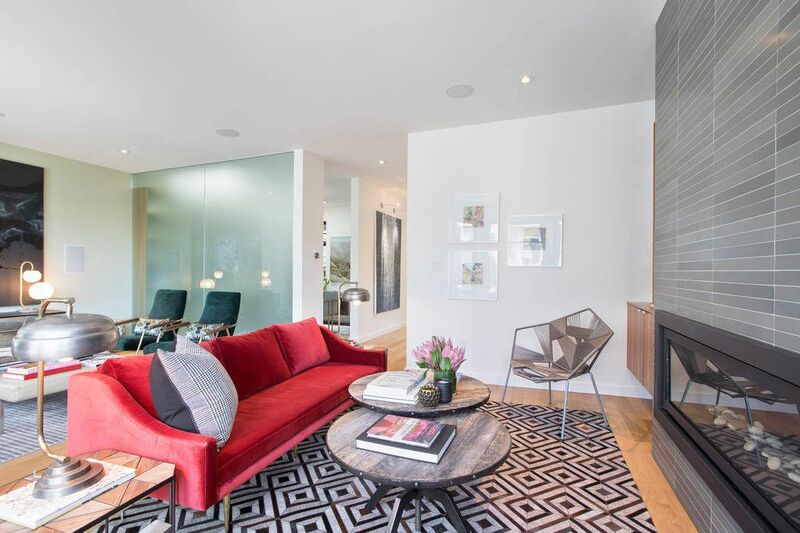 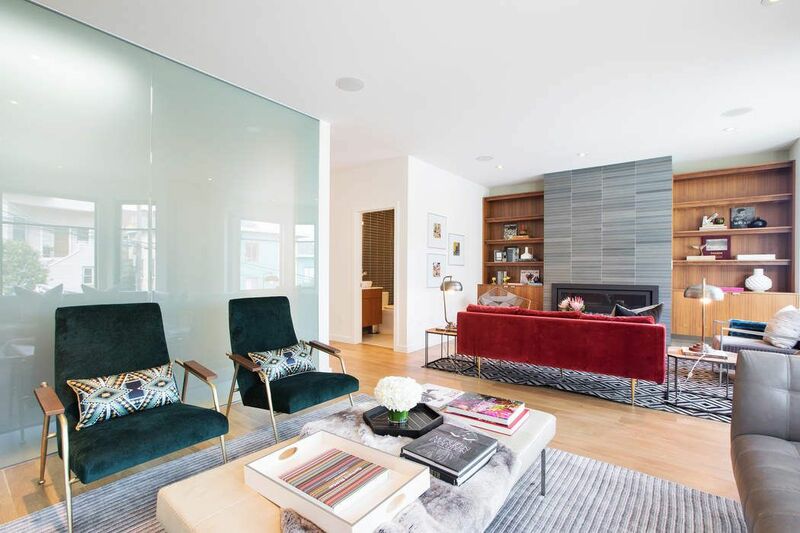 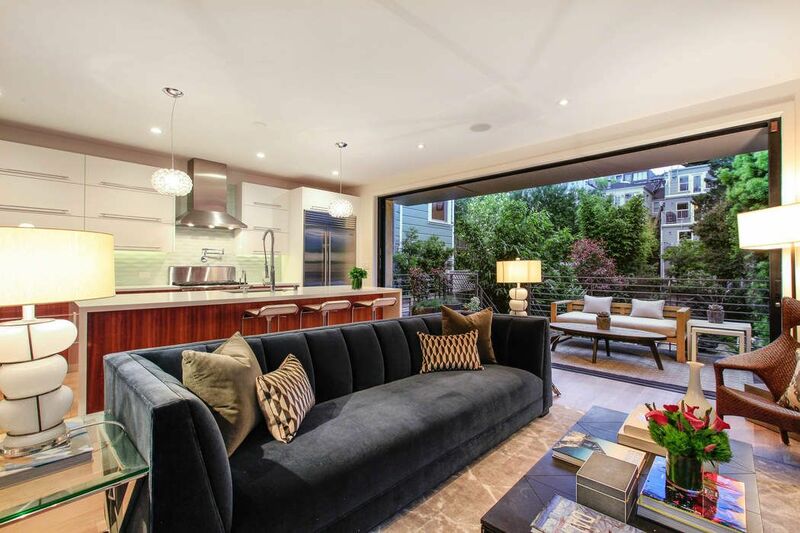 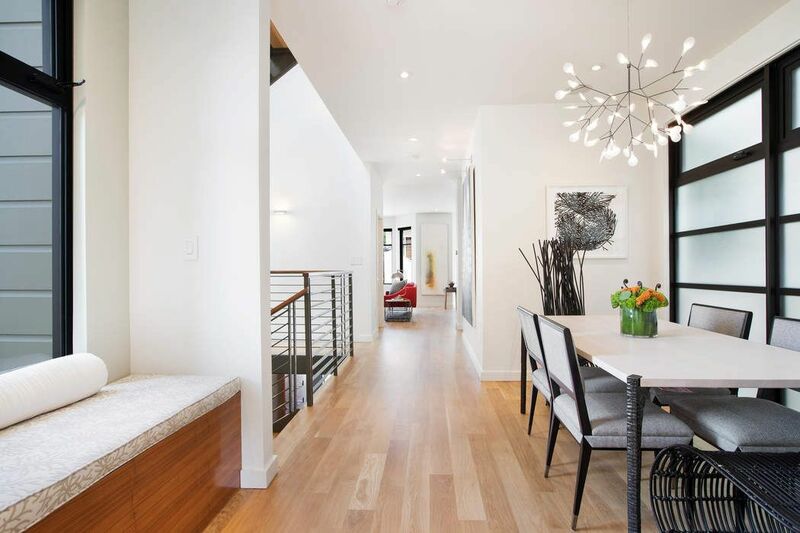 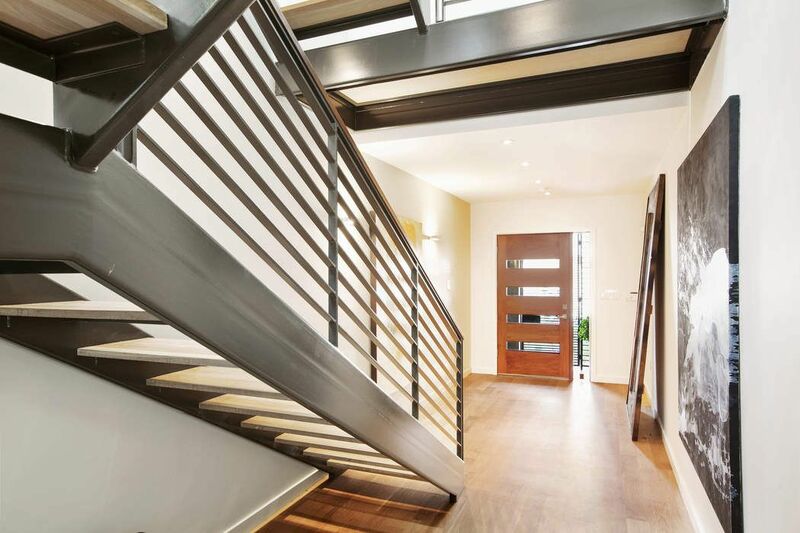 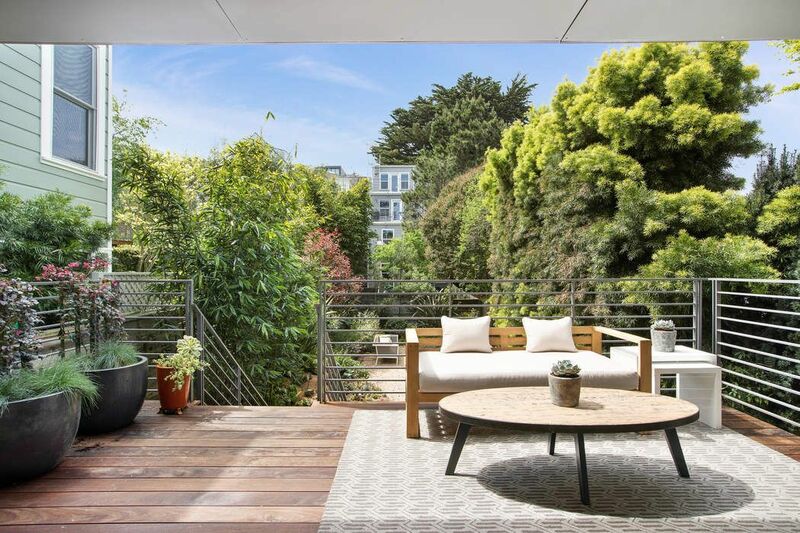 Bold Modern Durable Architecture San Francisco, CA 94114 | Sotheby's International Realty, Inc.
Masterful and fresh, with powerful, elegant livability, this beautifully conceived and carefully realized modern residence was custom designed for its owners. 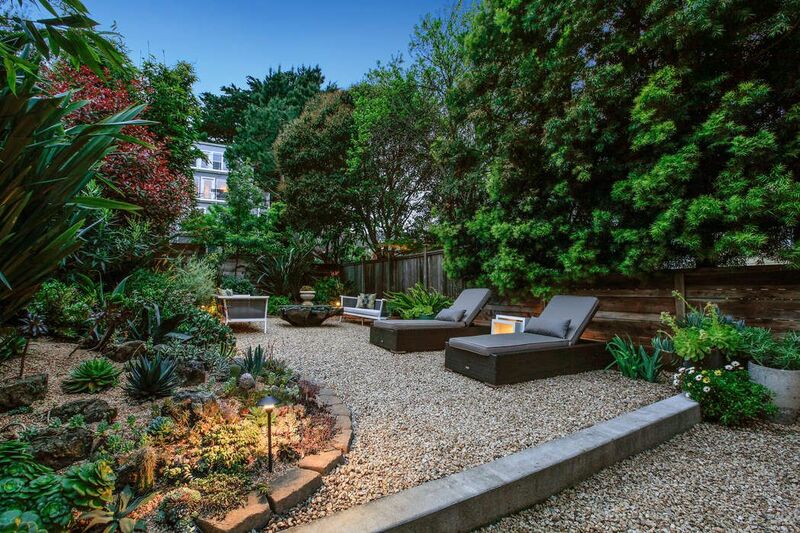 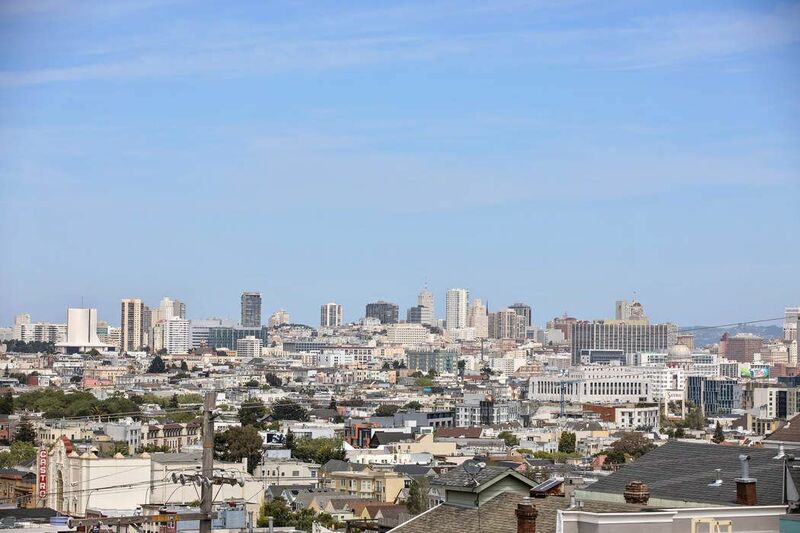 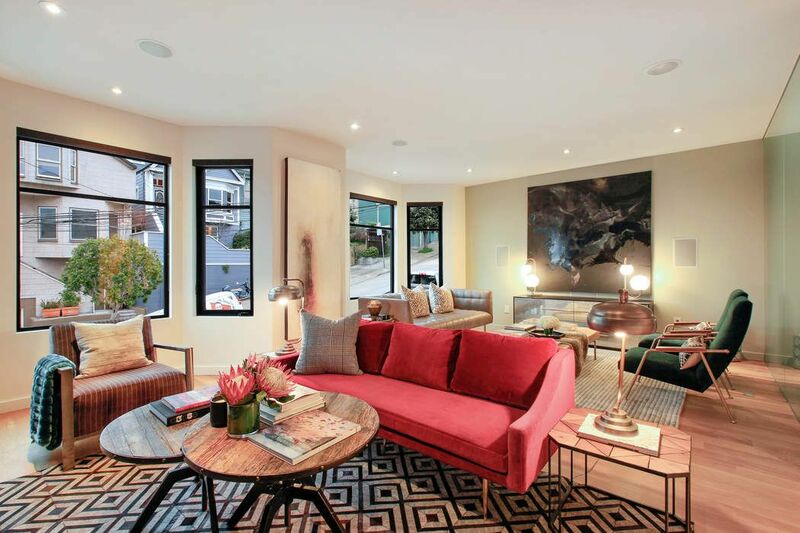 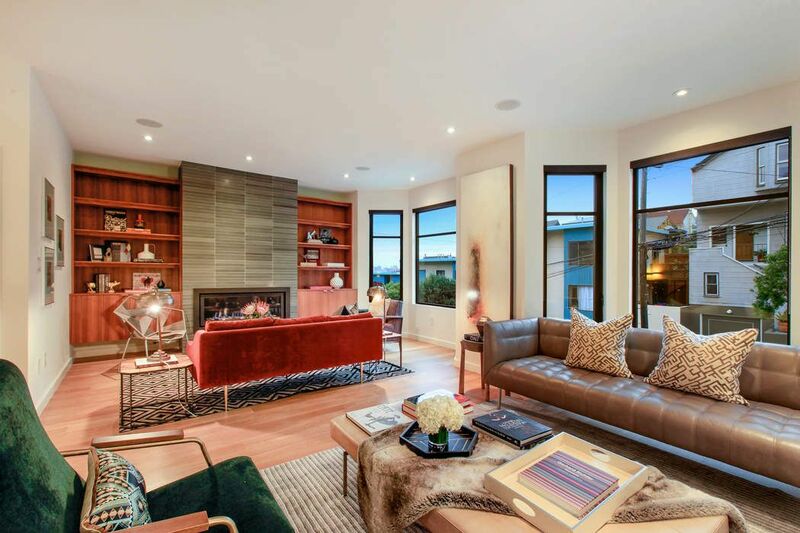 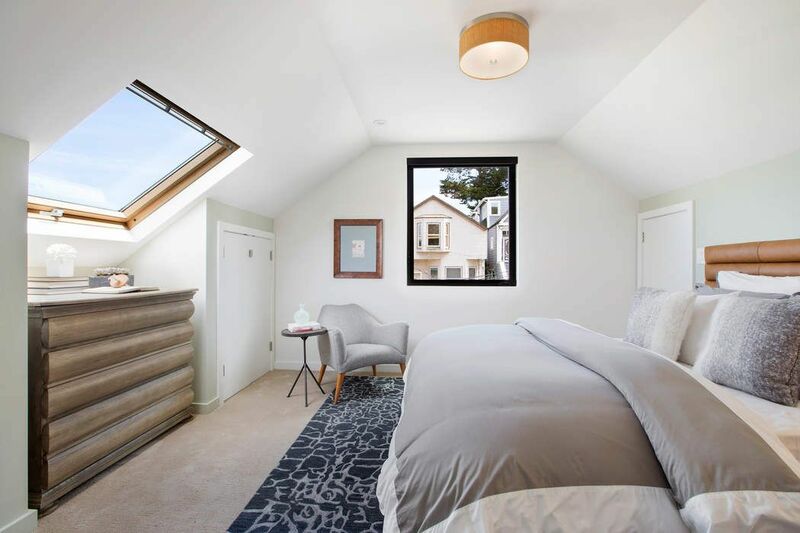 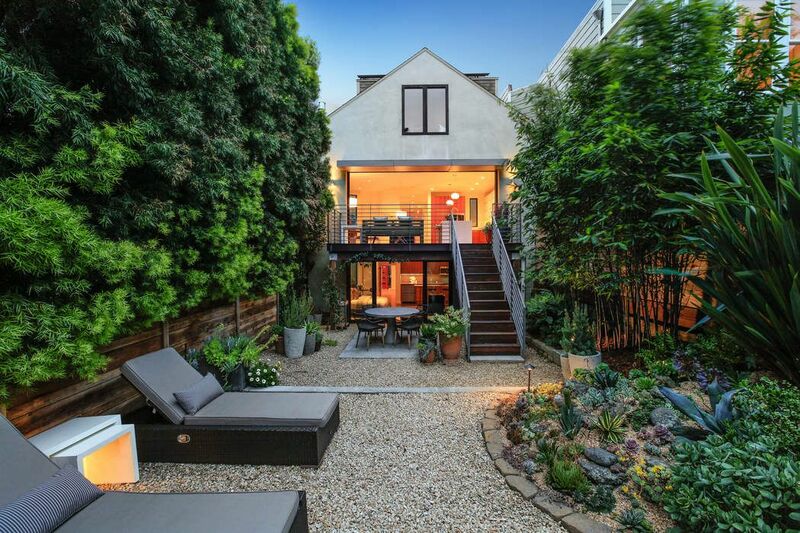 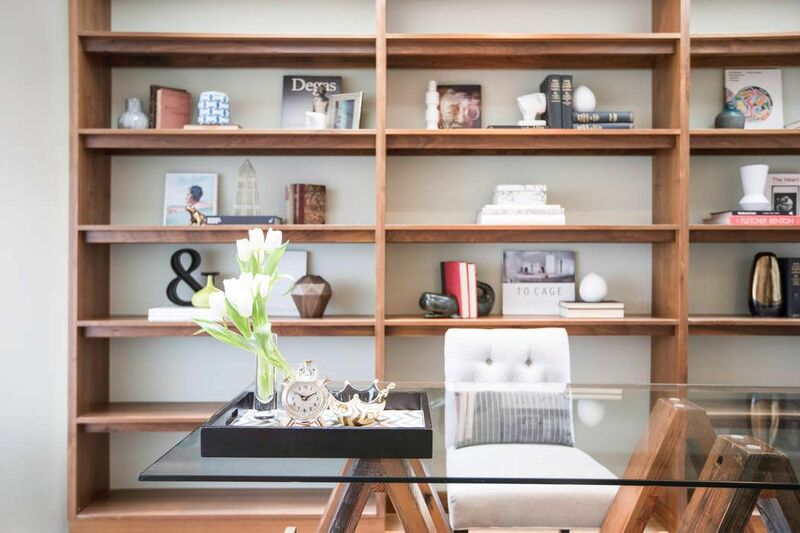 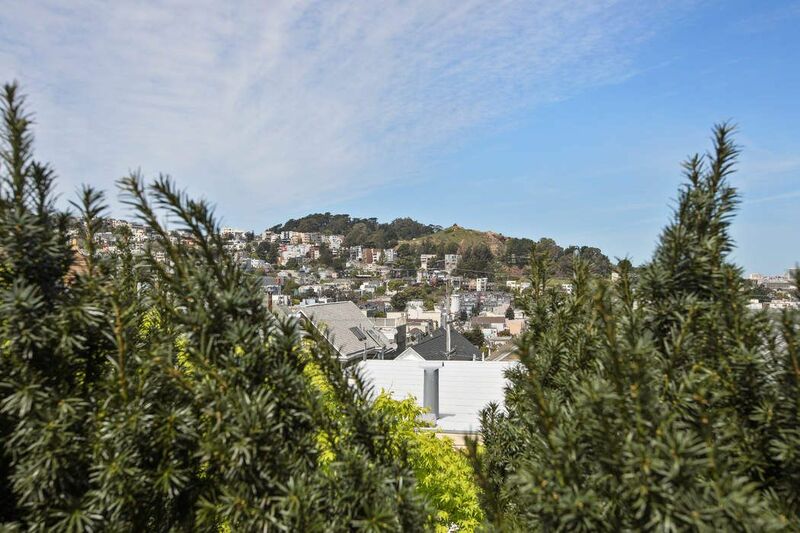 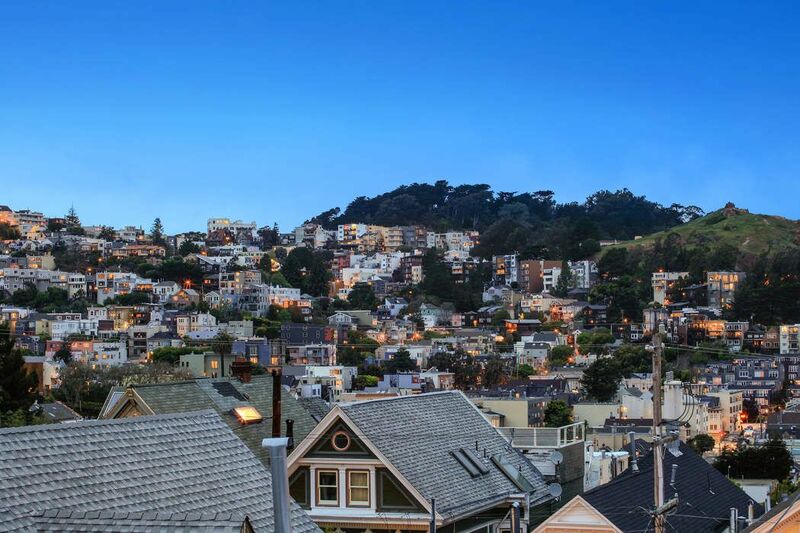 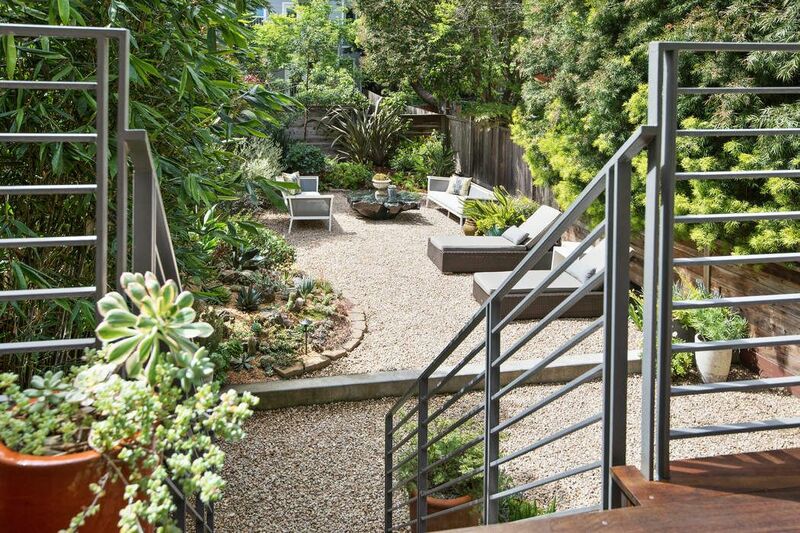 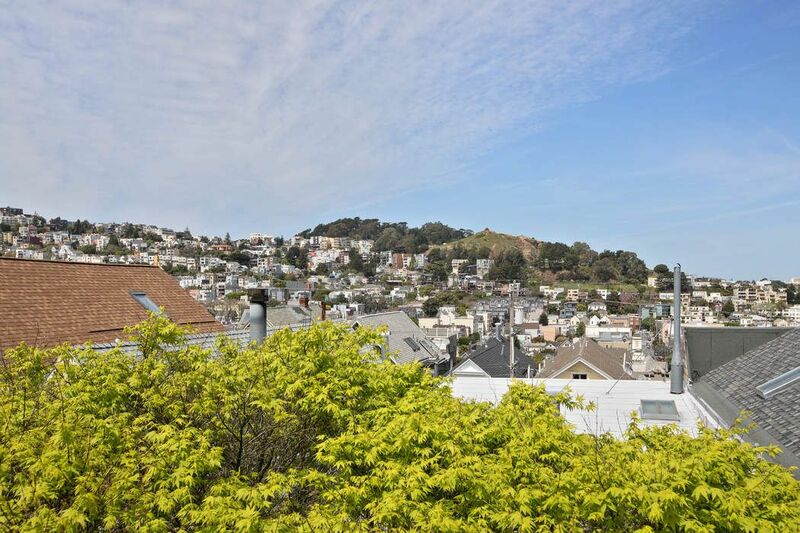 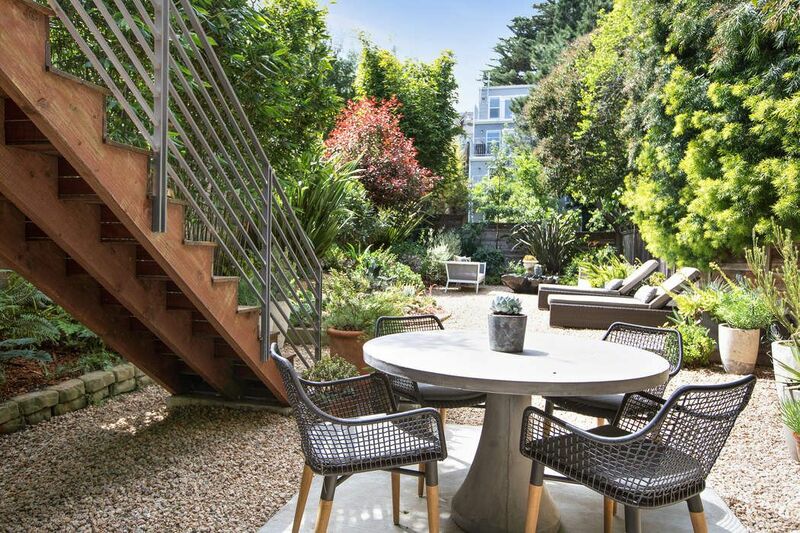 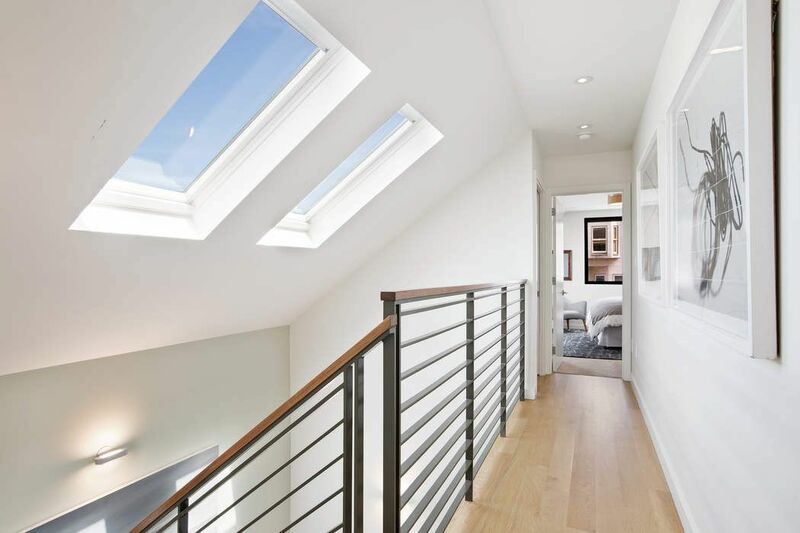 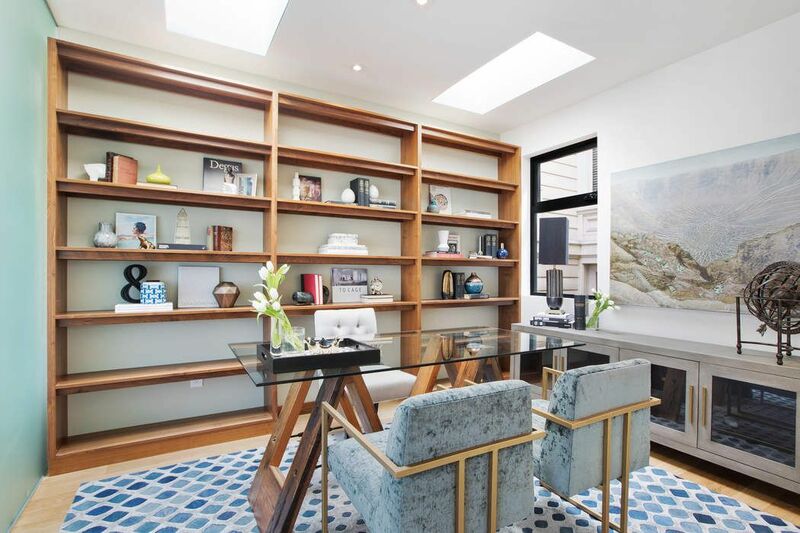 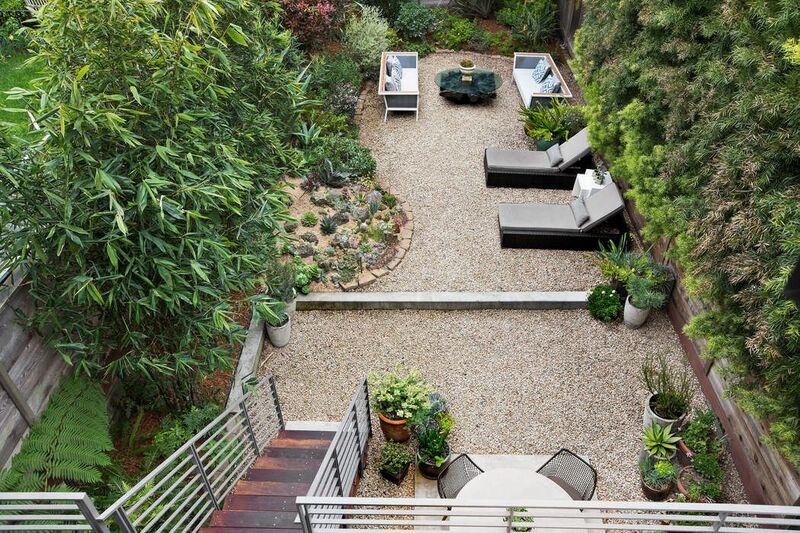 On three levels, with breathtaking, lush outlooks and peeks of city views, the home is in an A+ location: close to the amenities, transportation and parks of Eureka Valley, Mission Dolores and Noe. 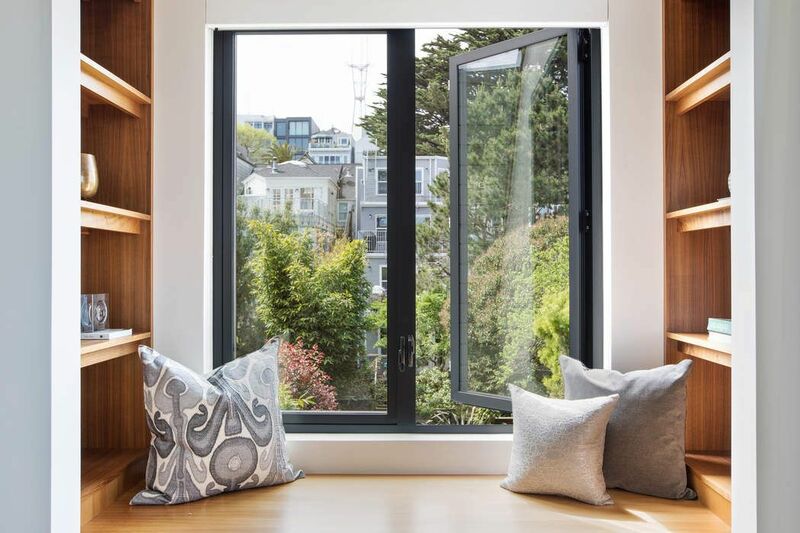 With an expansive scale in every space, a restrained palette of finish material and color, clever visual access to the views, this welcoming environment enjoys the indoor and outdoor character of California Living and serene polished interiors. 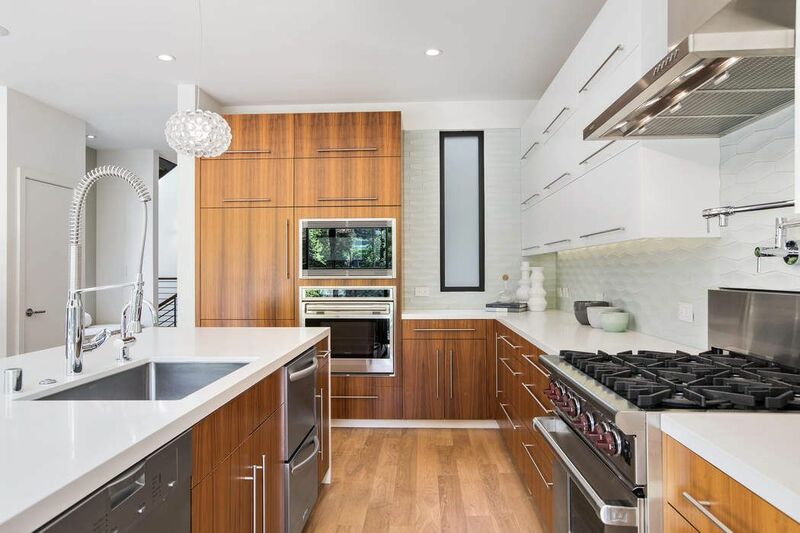 To the West, a pristine and impressive professionally equipped kitchen with massive quartz waterfall island, Heath back splash and exquisite Foscarini pendants is open to the family room and includes a gas fireplace and Venetian plaster wall, and connects, with a massive floor-to-ceiling wall of windows, the entire back of the house to the inviting deck and deep, lush garden. 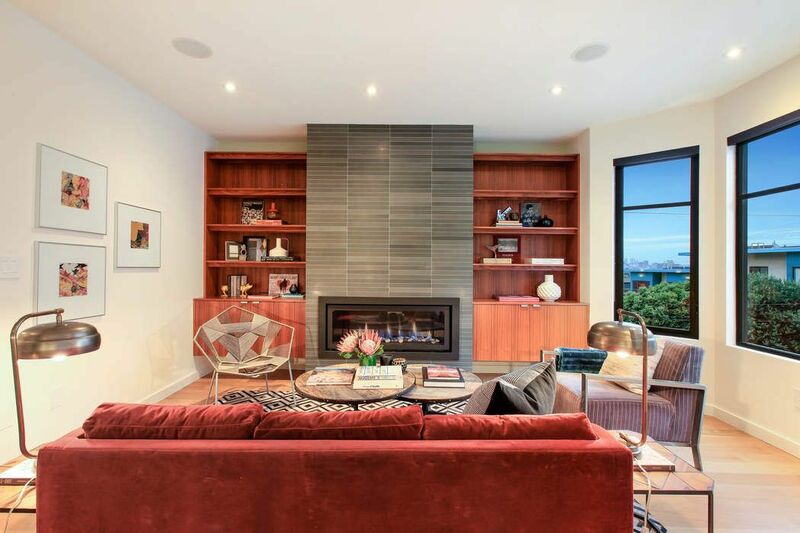 Additional custom storage and gas fireplace complete the space. 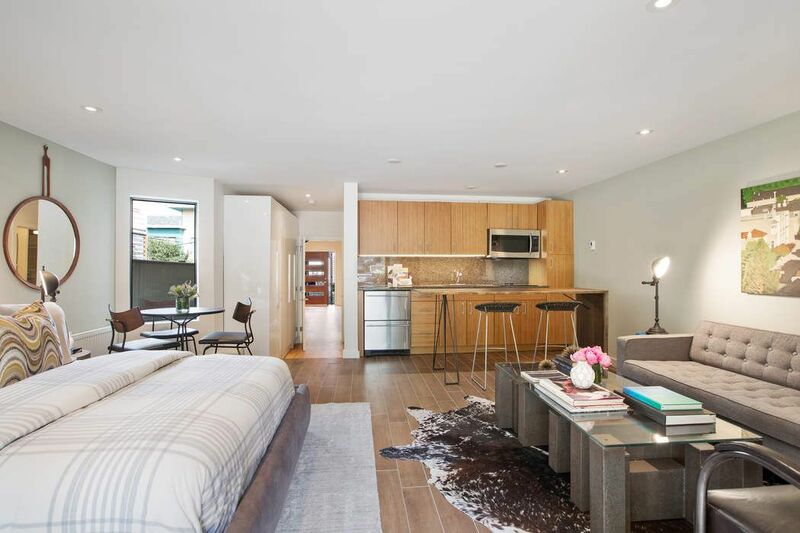 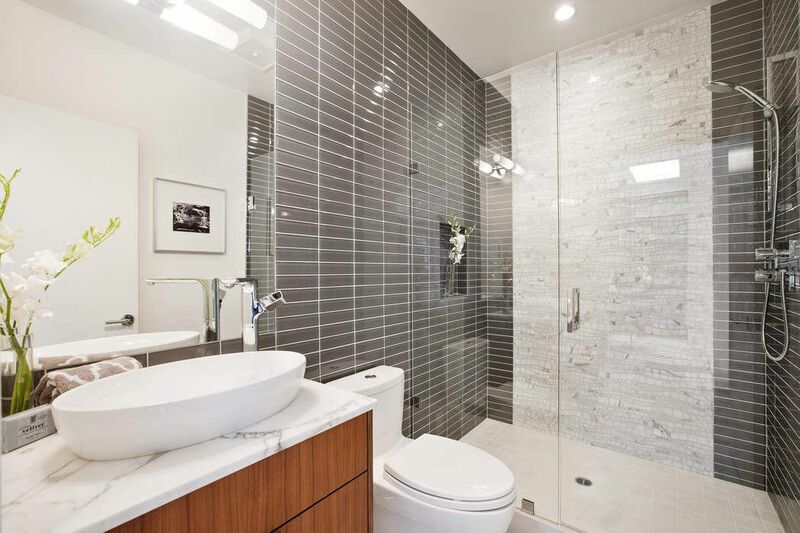 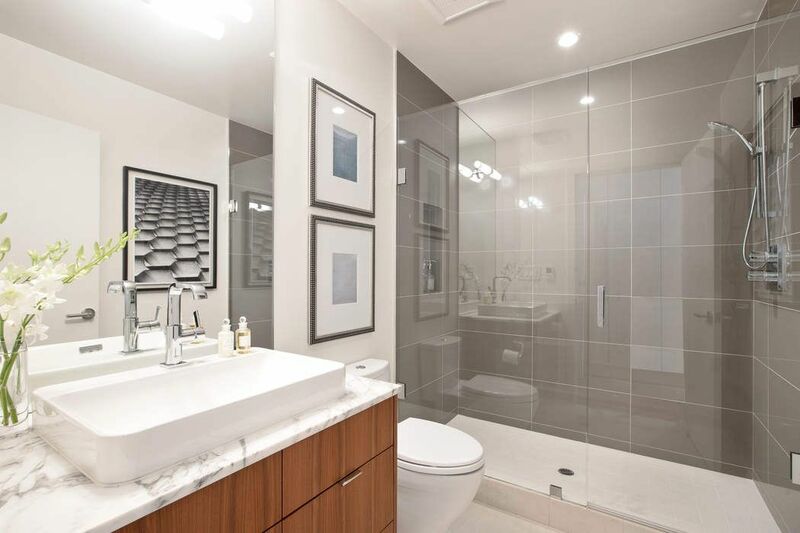 The upper floor, with two generous suites, benefits from the city view and luxe custom bath and laundry room. 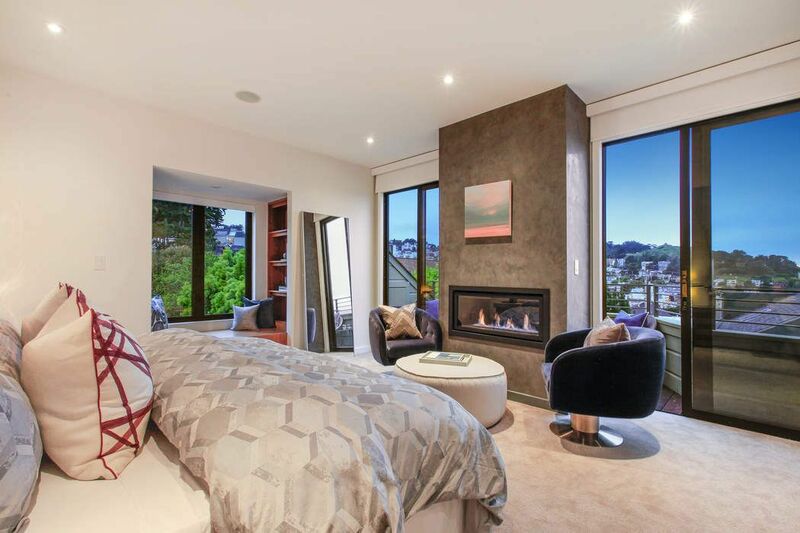 The master bedroom with its custom garden view seating includes a private deck from which to enjoy the city view, Venetian plaster clad gas fireplace, dual closets, double sinks and walk-in shower. 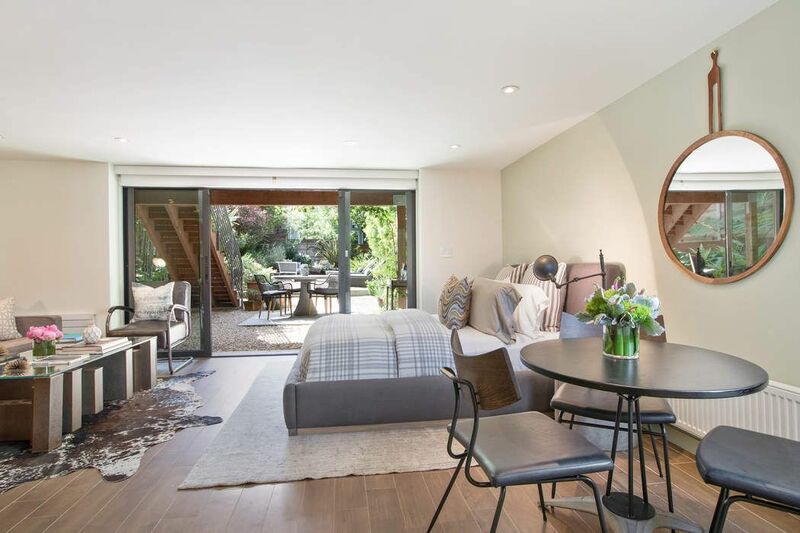 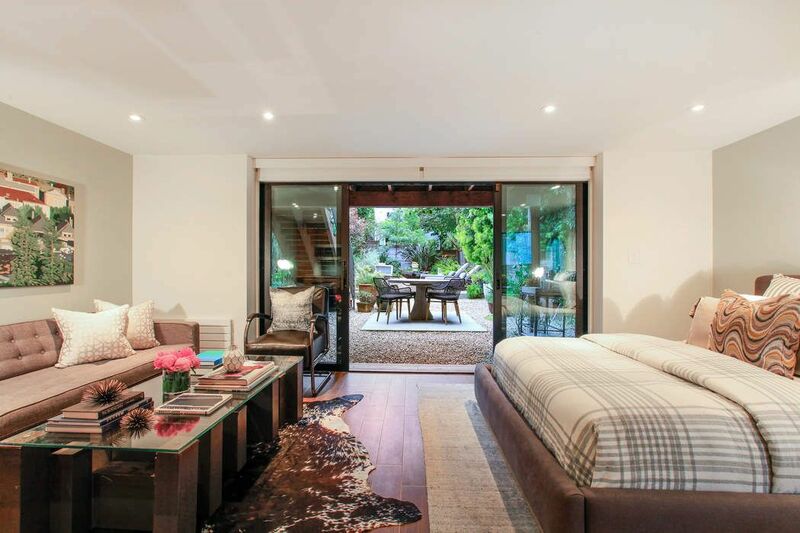 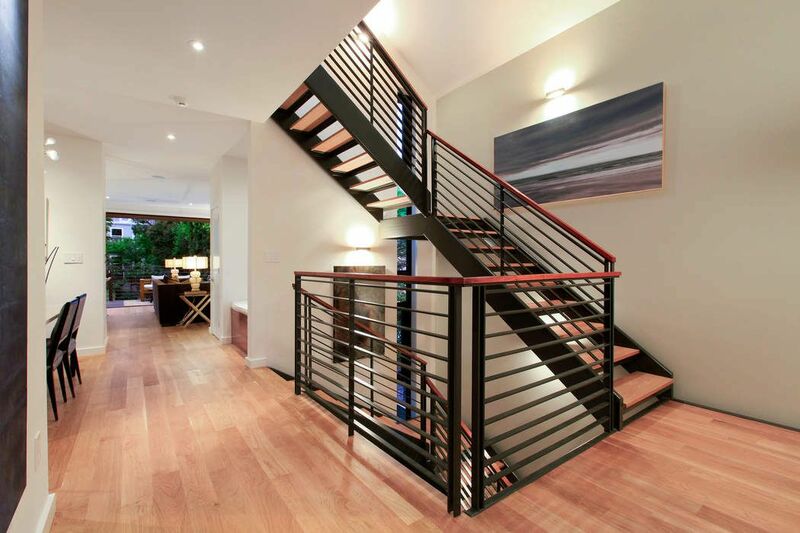 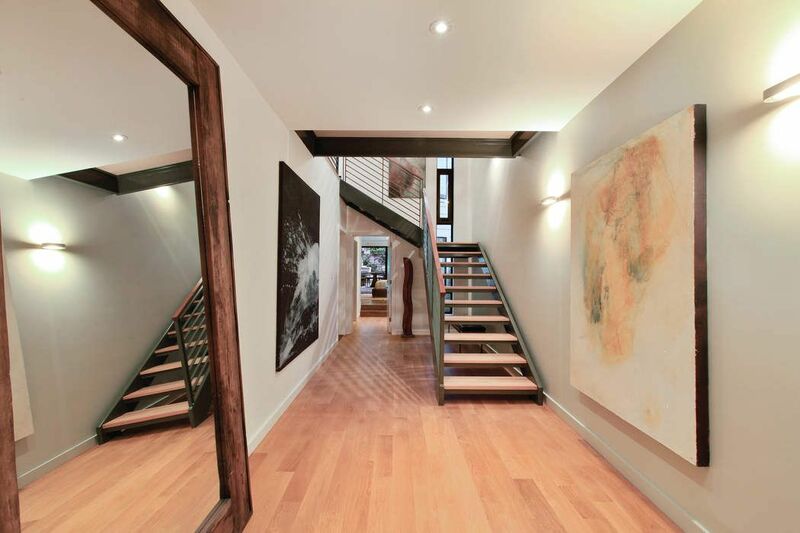 The lower level suite is connected to the garden and communicates through the generous entry foyer. 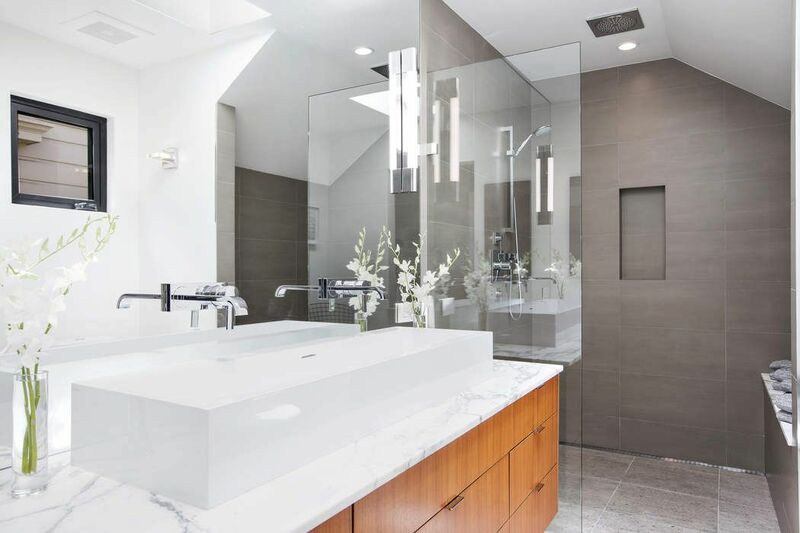 Perfect for guests and entertaining, the private suite features a full kitchen, luxe bath and generous open space with ample closets. 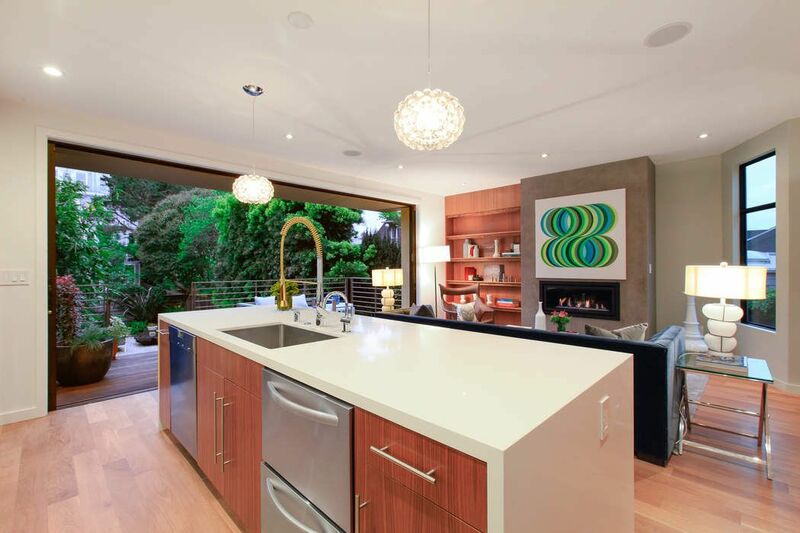 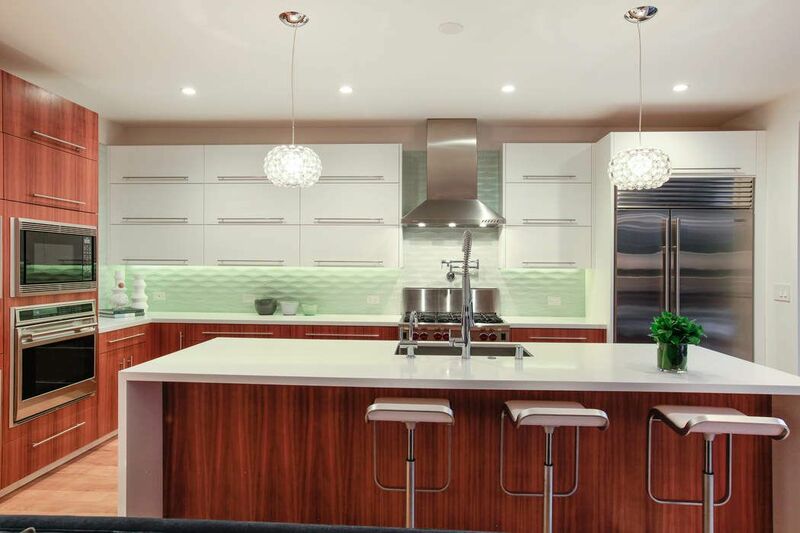 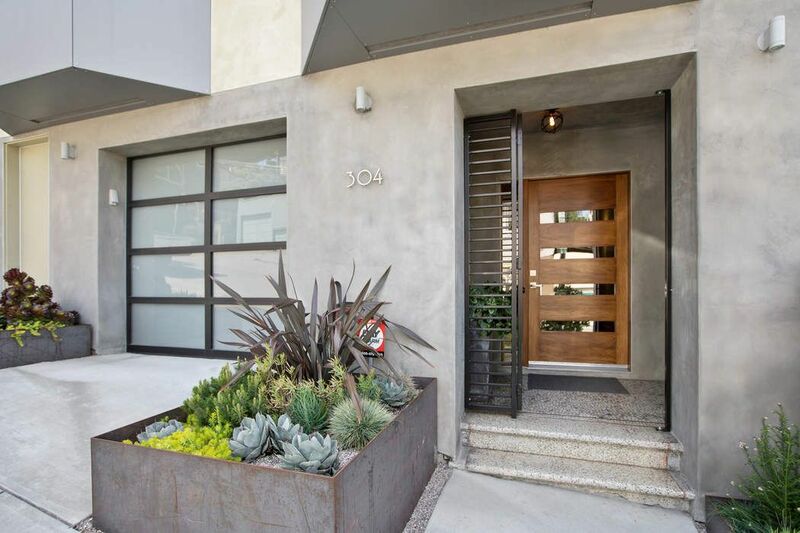 Devised of steel, glass, concrete and wood, the strength and elemental beauty of this home derives from thoughtful architecture, refined workmanship, smart features, and the highly functional floor plan. 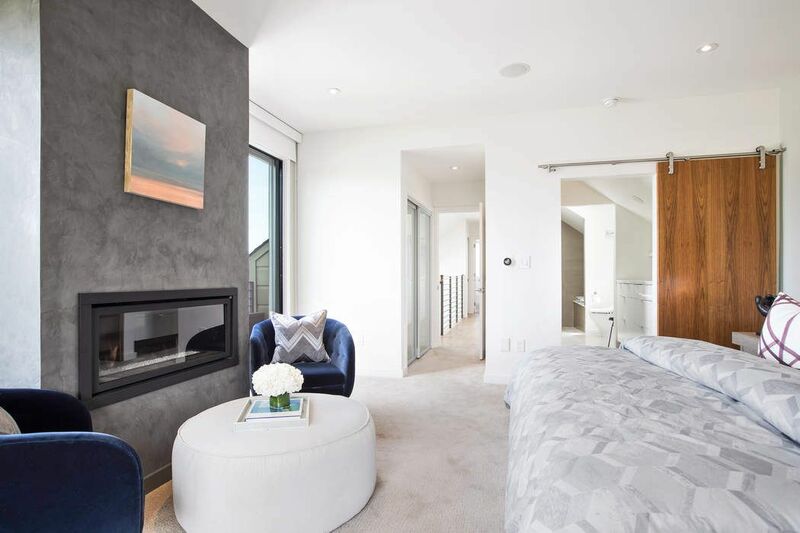 The resulting design, luminous from expansive entry to stunning landscape, is a perfect backdrop for furnishings and art, the love of nature and a robust, sophisticated city life. 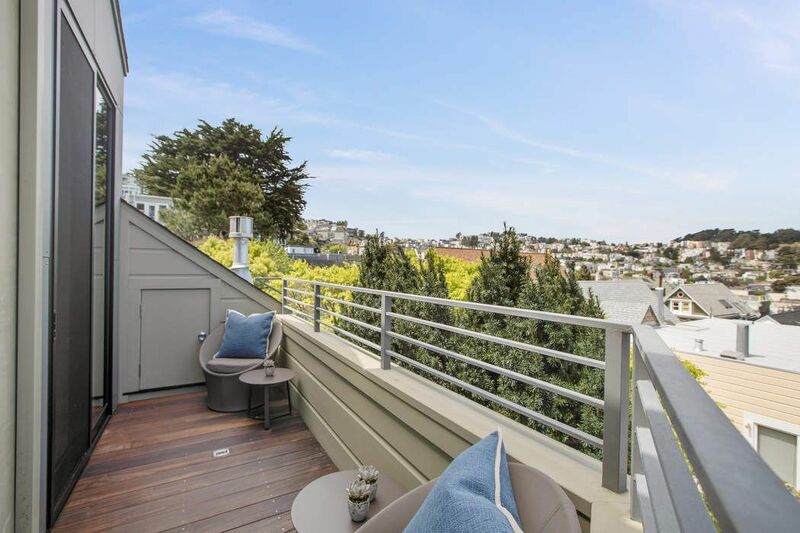 The San Francisco Chronicle, "Thorough Rebuild Legitimizes Eureka Valley Trilevel"
Masterful and fresh, with powerful, elegant livability, this beautifully conceived and carefully realized modern residence was custom designed for its owners.On three levels, with breathtaking, lush outlooks and peeks of city views, the home is in an A+ location: close to the amenities, transportation and parks of Eureka Valley, Mission Dolores and Noe. 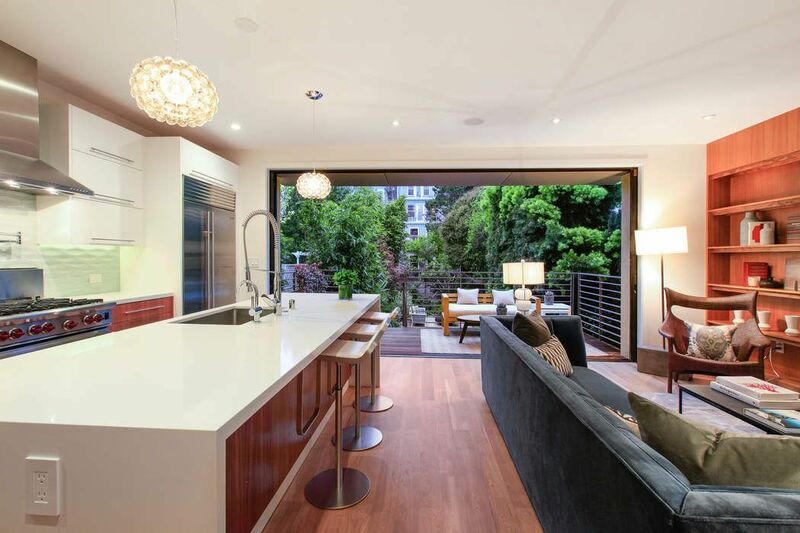 With an expansive scale in every space, a restrained palette of finish material and color, clever visual access to the views, this welcoming environment enjoys the indoor and outdoor character of California Living and serene polished interiors.To the West, a pristine and impressive professionally equipped kitchen with massive quartz waterfall island, Heath back splash and exquisite Foscarini pendants is open to the family room and includes a gas fireplace and Venetian plaster wall, and connects, with a massive floor-to-ceiling wall of windows, the entire back of the house to the inviting deck and deep, lush garden. 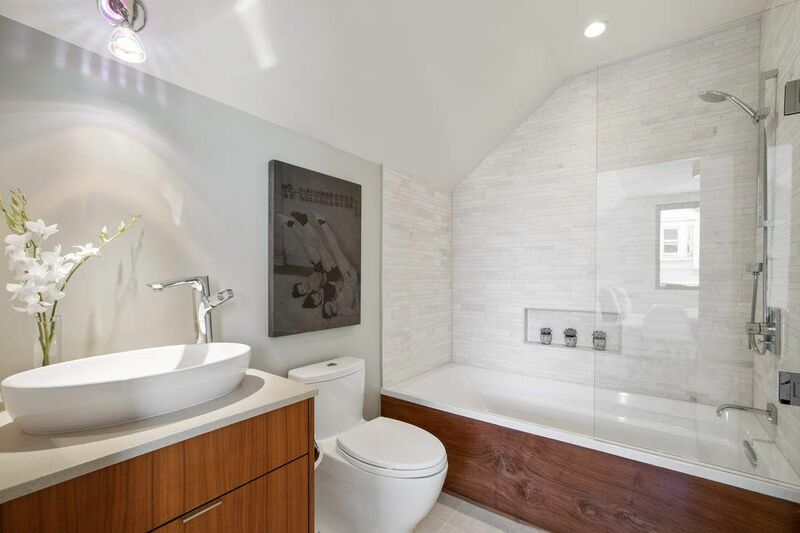 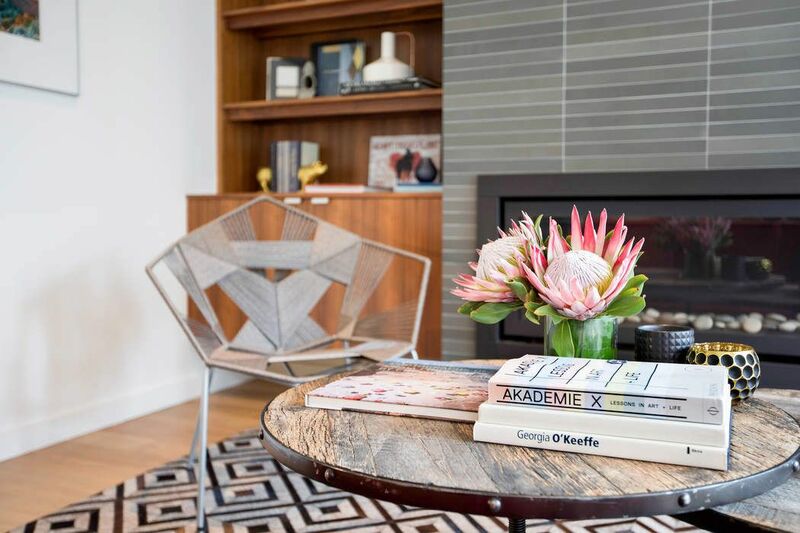 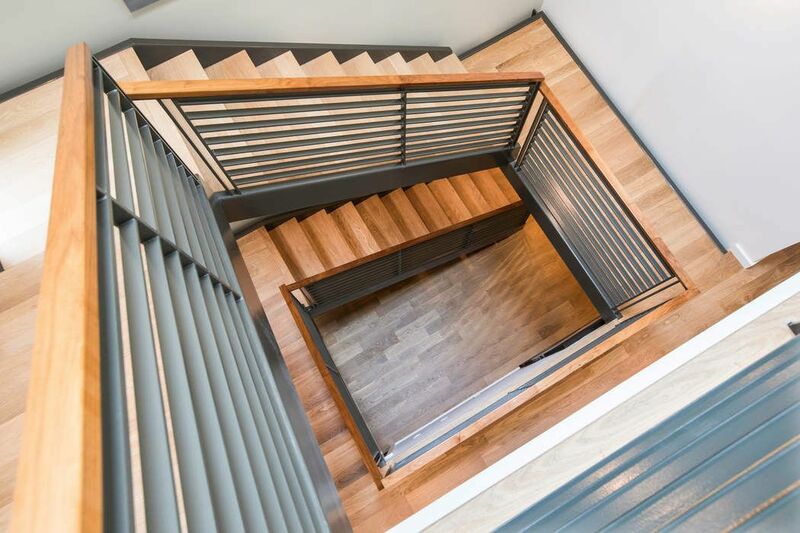 Additional custom storage and gas fireplace complete the space.The upper floor, with two generous suites, benefits from the city view and luxe custom bath and laundry room. 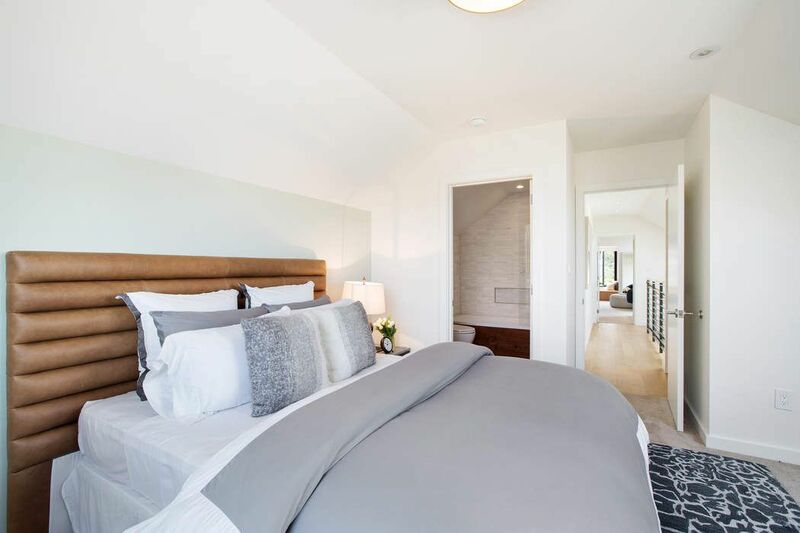 The master bedroom with its custom garden view seating includes a private deck from which to enjoy the city view, Venetian plaster clad gas fireplace, dual closets, double sinks and walk-in shower. 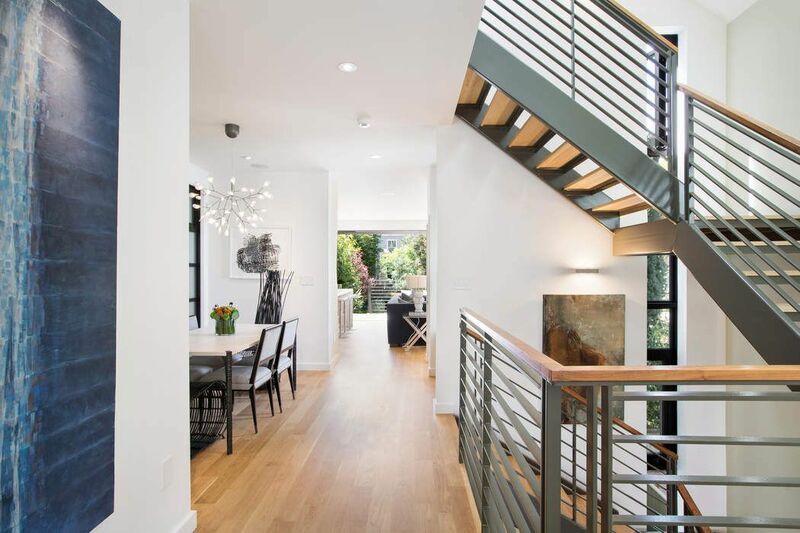 The lower level suite is connected to the garden and communicates through the generous entry foyer. 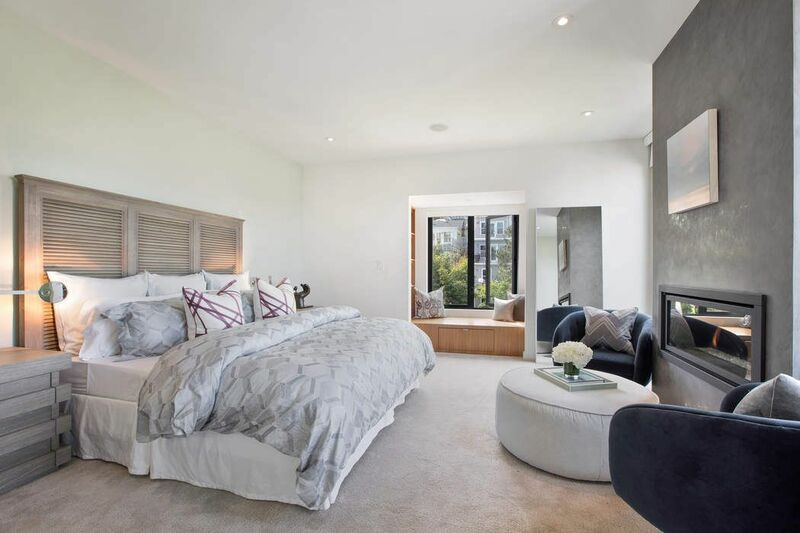 Perfect for guests and entertaining, the private suite features a full kitchen, luxe bath and generous open space with ample closets.Devised of steel, glass, concrete and wood, the strength and elemental beauty of this home derives from thoughtful architecture, refined workmanship, smart features, and the highly functional floor plan. 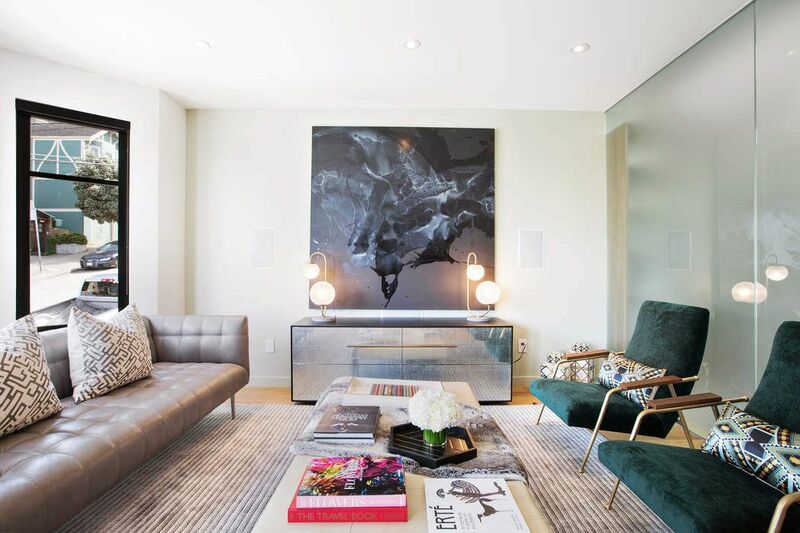 The resulting design, luminous from expansive entry to stunning landscape, is a perfect backdrop for furnishings and art, the love of nature and a robust, sophisticated city life.